Atlantic General Hospital, a healthcare organization located near Ocean City, MD, competes with two much larger institutions nearby — one of them in the state of Delaware. Despite its close proximity to the state line, Atlantic General’s Maryland address had been a “psychological impediment” to residents in Southern Delaware. The hospital came to us to increase public awareness of its convenience and quality, in order to grow Delaware patient admissions and outpatient service utilization. 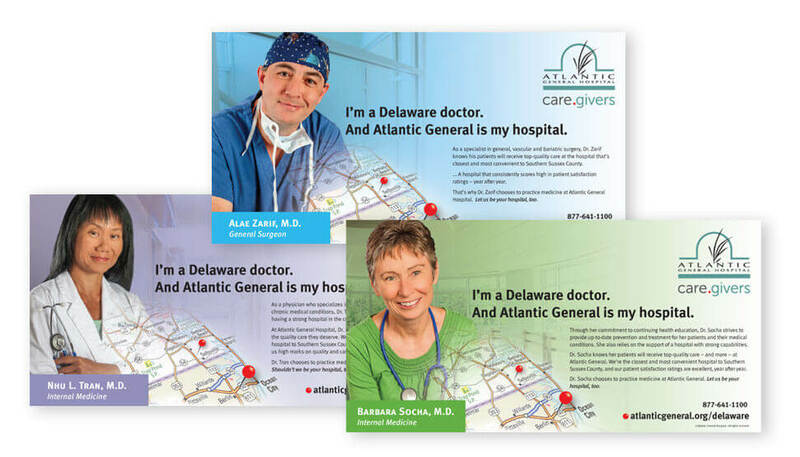 We created an integrated communications campaign based on the theme I’m a Delaware doctor. And Atlantic General is my hospital. 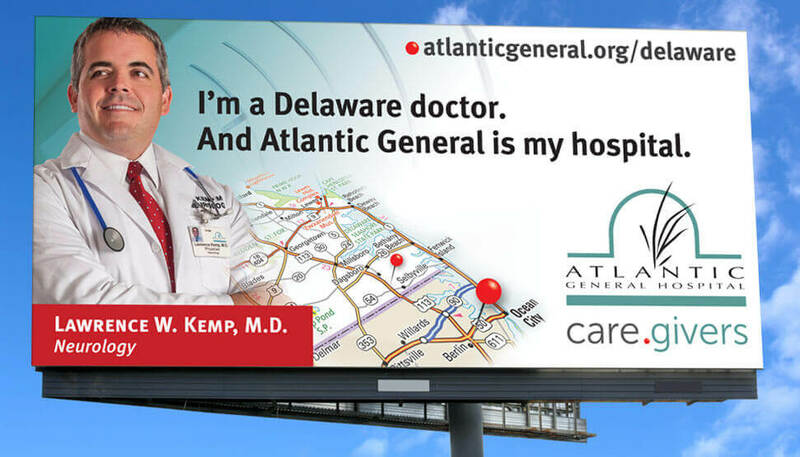 The campaign featured a dozen local physicians and why they choose to practice medicine at Atlantic General Hospital. 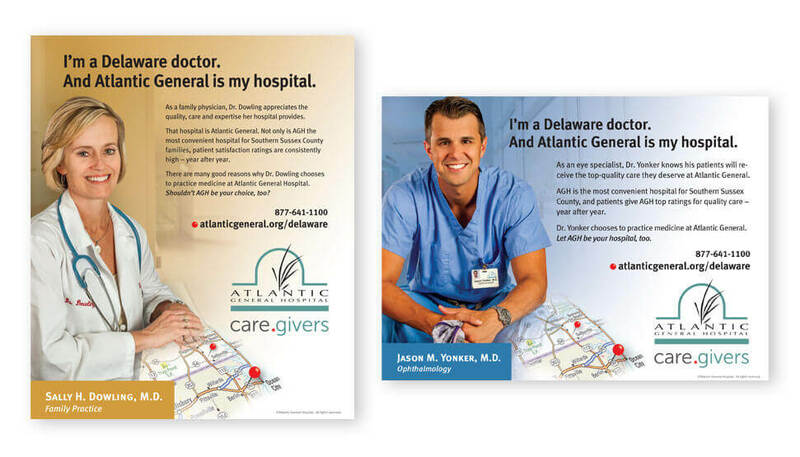 A complete set of MarComm materials was produced including TV/cable advertising, print ads, outdoor billboards, postal mail and e-mail advertising, web banners, plus graphics panels for display in Delaware physician offices. A post-campaign survey found that unaided awareness of Atlantic General in the target region rose from 39% to 64%, and its “very favorable” rating grew from 9% to 32%. 51% stated they would be “likely” or “very likely” to use the hospital for emergency care. The first-year revenue increase from the target territory was substantial, too (seven figures).